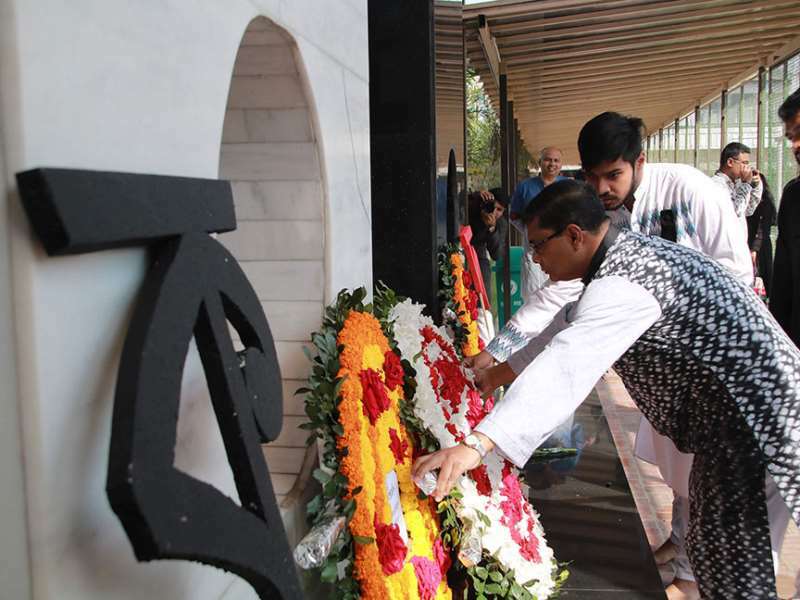 Nothing great was ever achieved without making sacrifices. 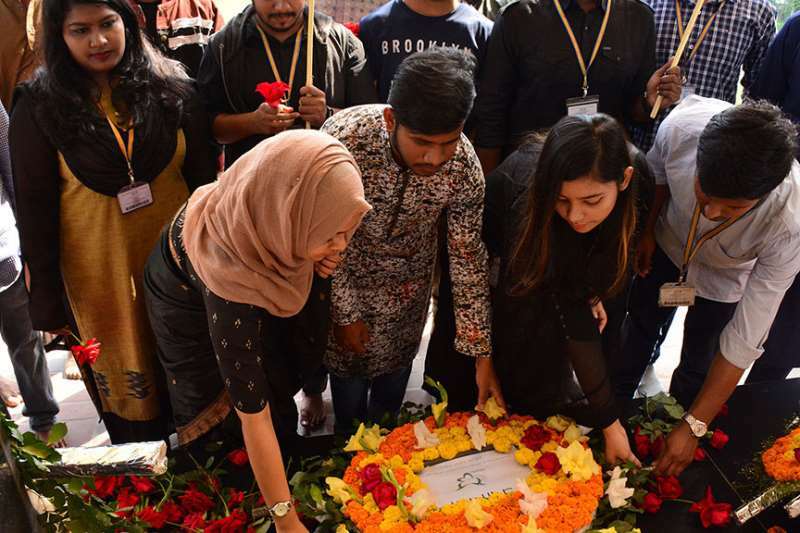 It is the act of giving up something that matters for something that matters more. 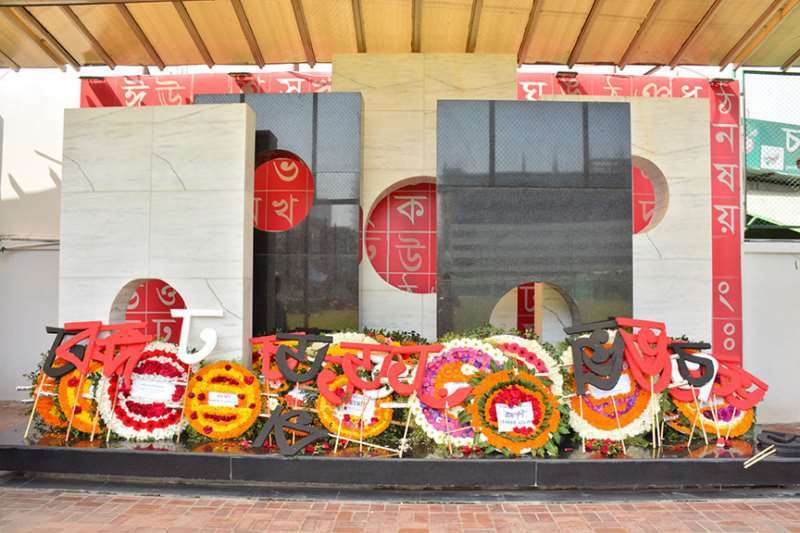 And every Bengali knows the weight of that. 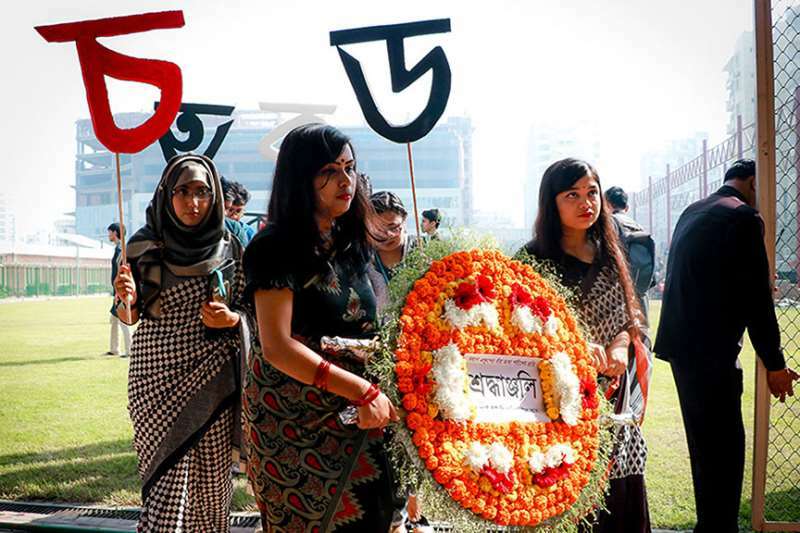 A nation that was in shackles for years, gripped in terror, abuse, and the loss of countless lives, fought relentlessly to free not only themselves, but their motherland and mother-tongue. 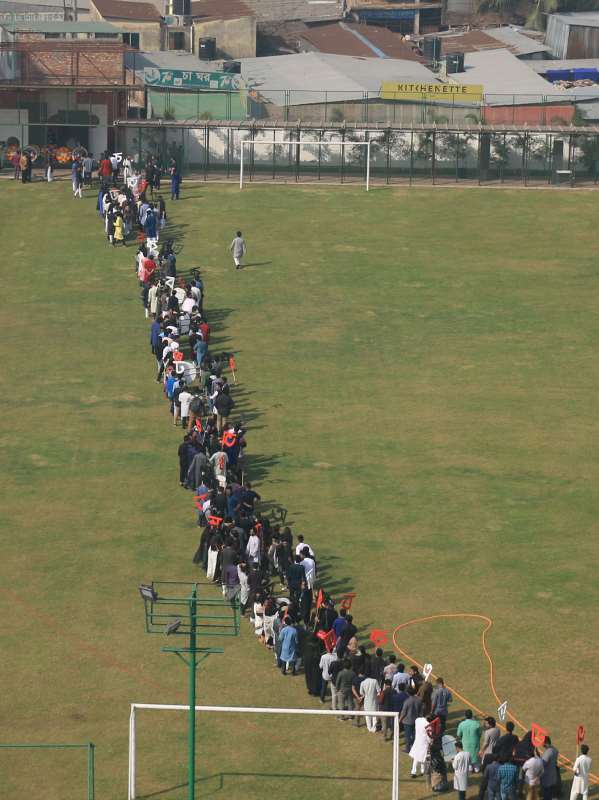 And even though, over time the scars may heal, the mark will remain etched in the pages of our history forever. 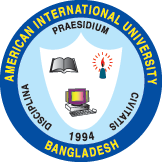 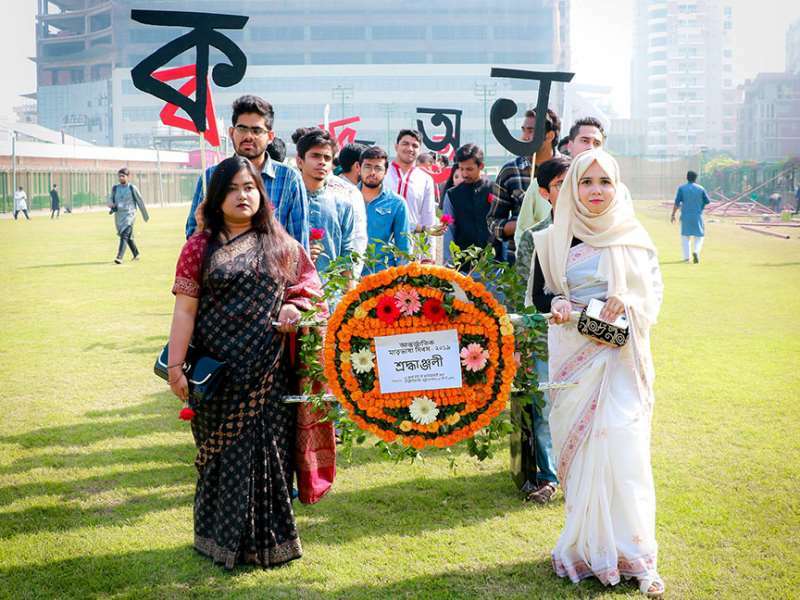 Hence, every year, on the 21st of February, like millions of Bengalis around the world, the members of the student clubs, faculty members, and administrative staff of the American International University – Bangladesh (AIUB) gather together to pay their respects to the language martyrs whose unyielding courage and selfless patriotism gave us the right to our mother tongue. 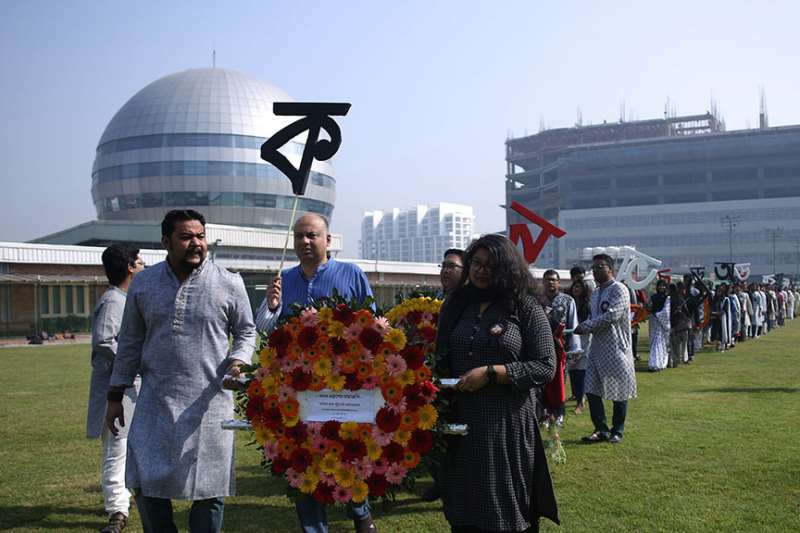 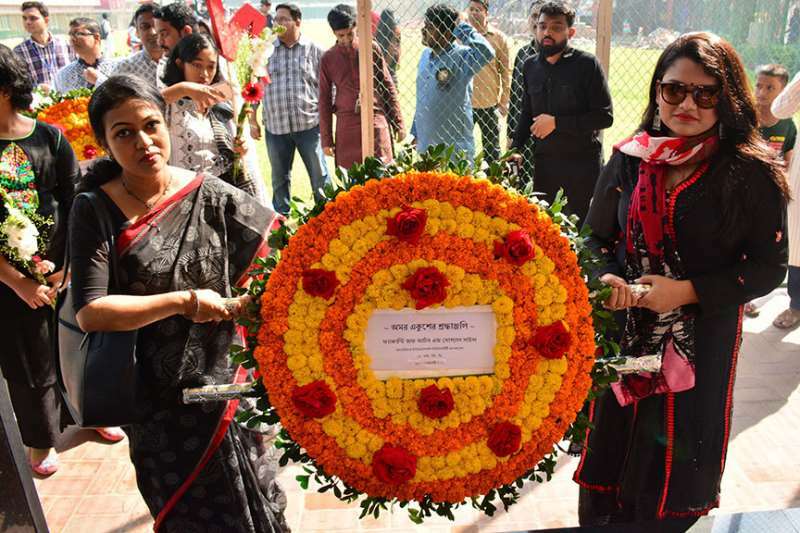 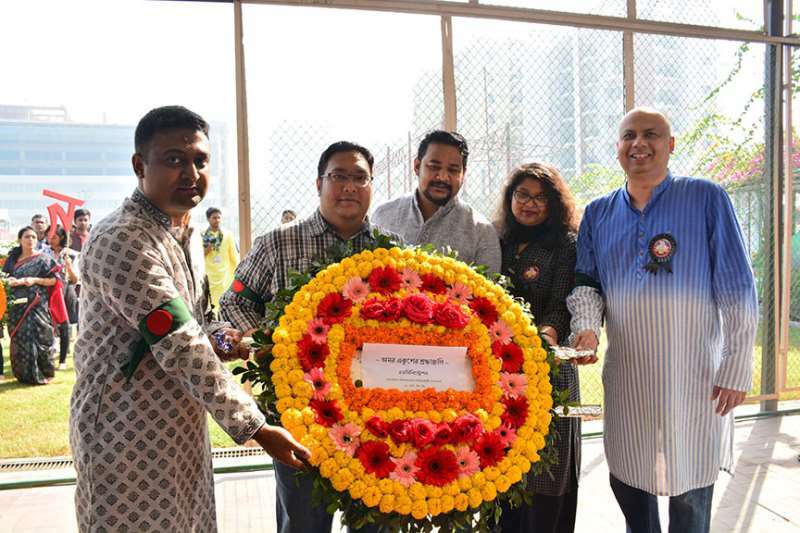 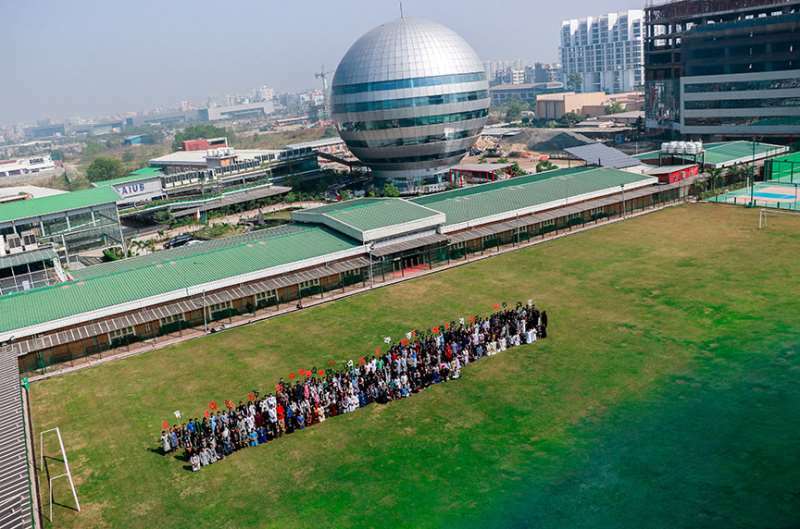 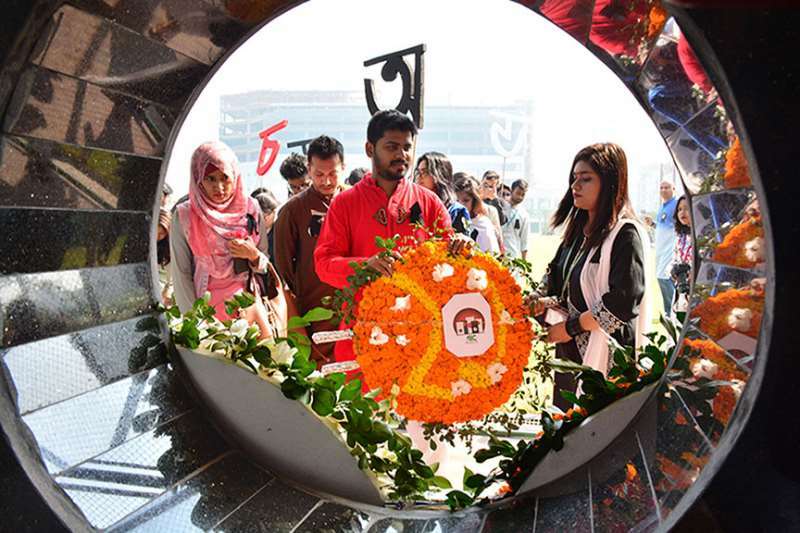 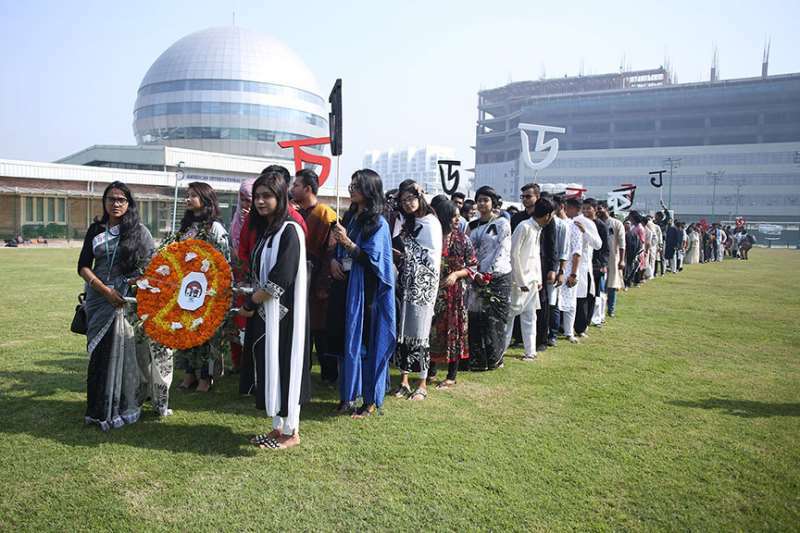 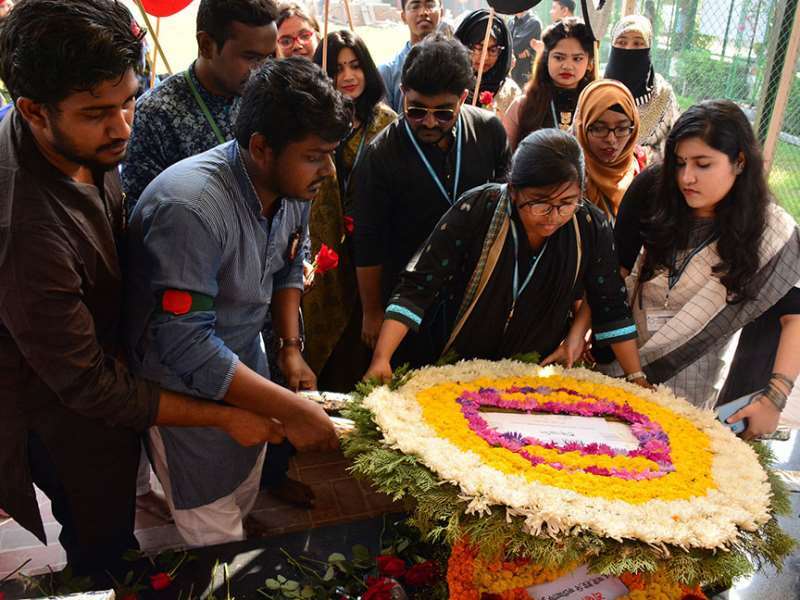 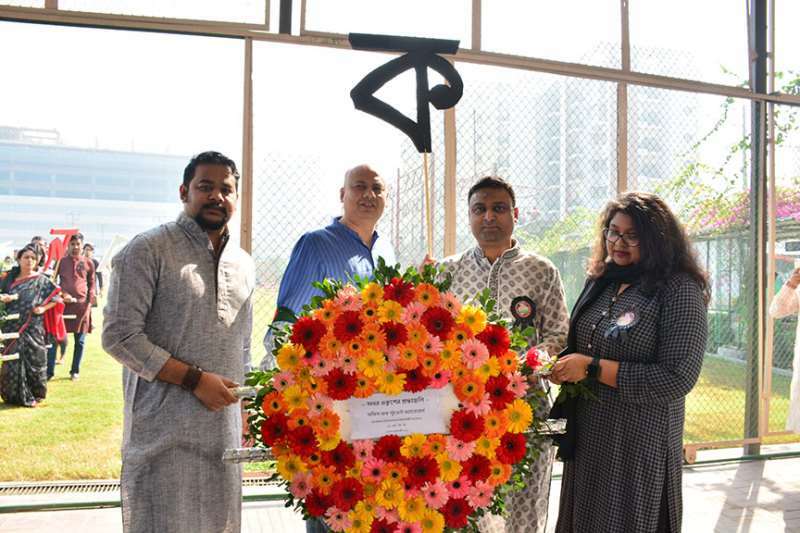 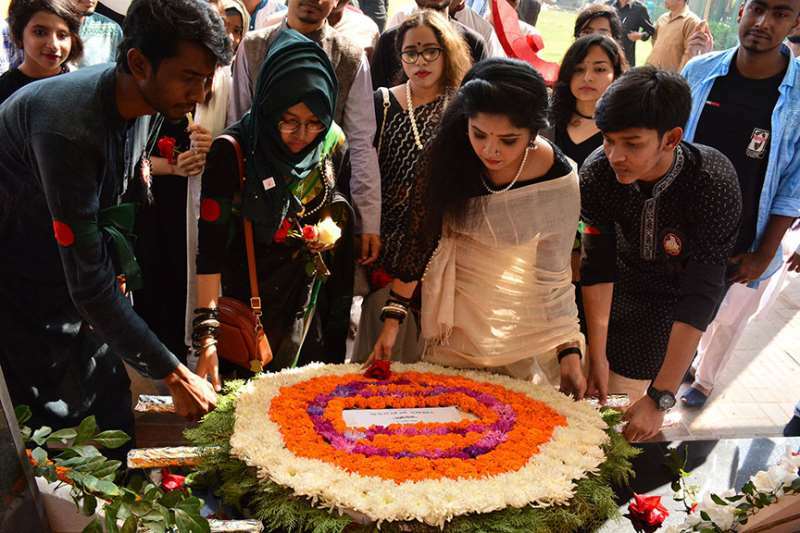 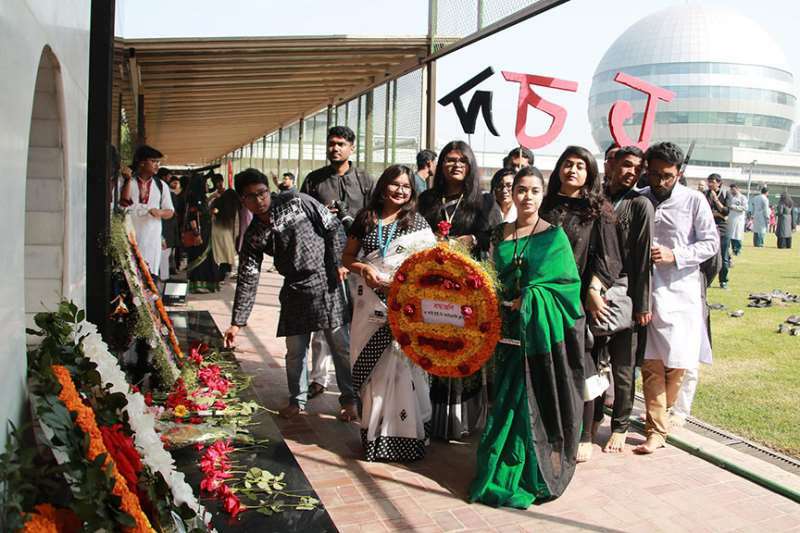 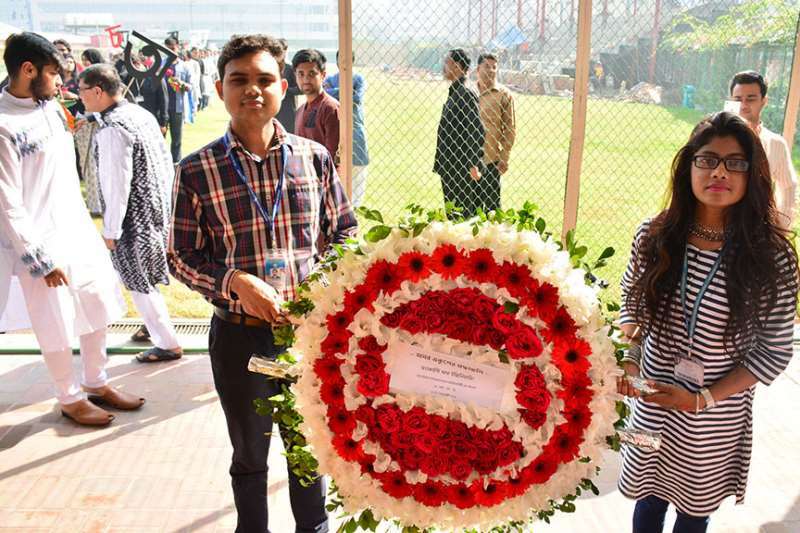 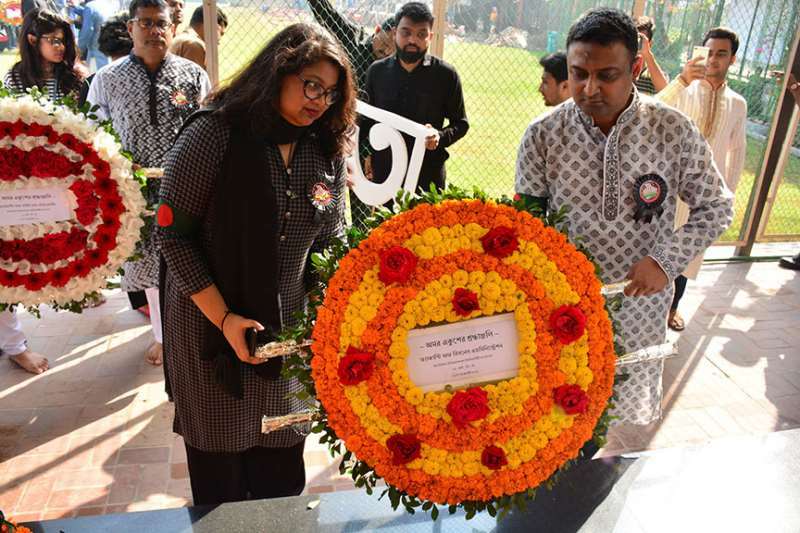 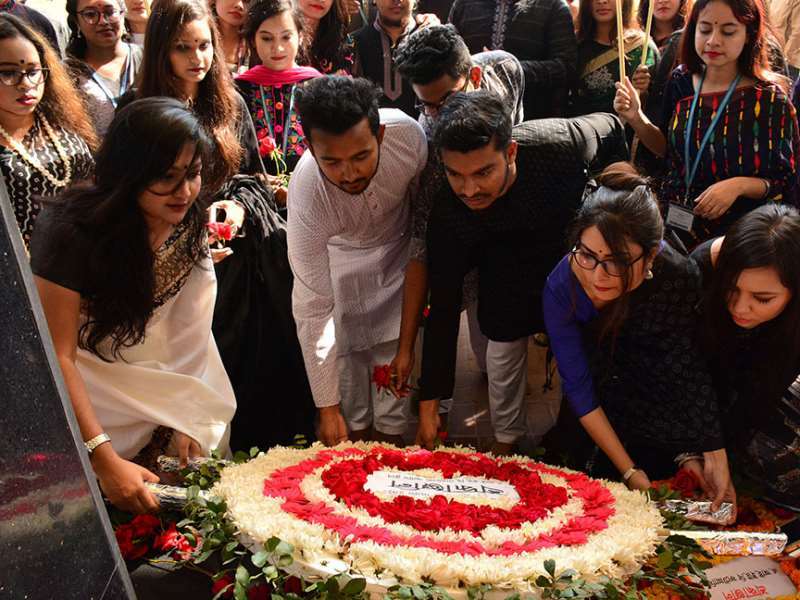 Keeping the tradition, this year, the university clad in black and white, commemorated the International Mother Language Day with wreaths and flowers in the Shaheed Minar on campus. 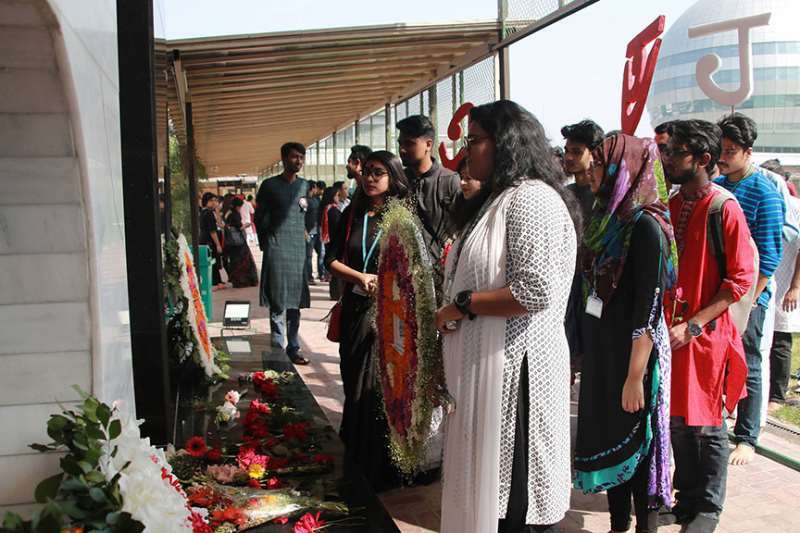 In honor of the battle and the unsung heroes, AIUB continues to reminisce the journey that gave us the identity we treasure today. 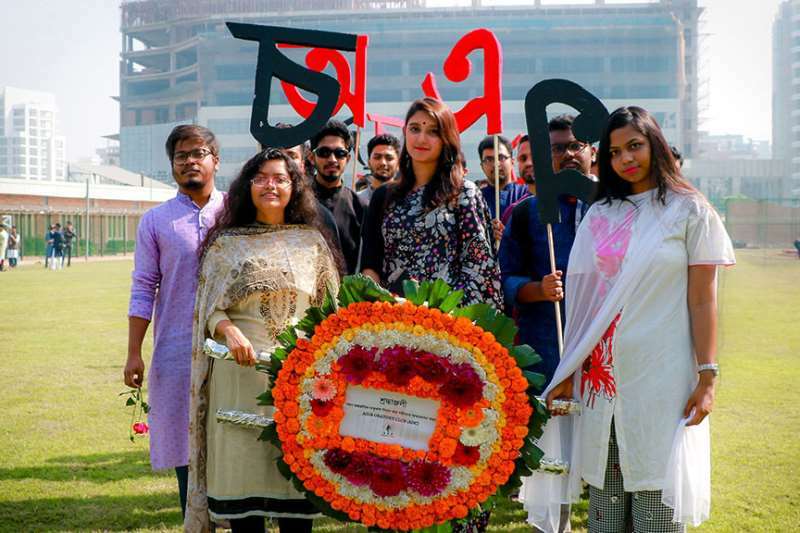 And with each passing year, we hope to carry the baton forward with great pride, towards a brighter future, not just for ourselves, but for a better tomorrow for the generations to come.